What Makes a Digital Winner? As Digital Prefect I had my beady eye firmly fixed on who would win the social media award at last week’s PR Week awards, an industry thumbs up to those boldly leading the way in a field where many PROs are still only delicately tip-toeing. And I was not disappointed. 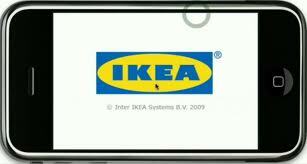 The winning campaign, the Ikea iPhone App, certainly displayed the key attributes that social media marketing enables: two way communication, integration, adaptation, and functionality. Perhaps the only element that was slightly lacking was the creativity of the application – which PR week describes as “essentially a PDF version of the store catalogue.” But even this weakness demonstrates where Cake (who developed the campaign for Ikea) is ahead of the social media game; choosing a functional app with longevity over a creative and amusing app which is often only a fad, at best. So what made an award winning campaign for Ikea and Cake? Two way communication – after the first version of the app was released, users were invited to suggest improvements. An improved version of the app was then released a mere three months later based on the most popular improvement suggestions. Two way communication is one of the most powerful tools that social media offers – allowing brands to directly interact with their stakeholders. Many brands neglect this approach for fear of negative outcomes, but Ikea and Cake have demonstrated how powerful stakeholder interaction can be – and that it can be used to proactively to positive effect rather than reactively as a customer service mechanism. Integration – Cake used multiple outlets to capture the user feedback with suggestions arriving via email, Twitter using the hashtag #IKEAappideas or by phone. But the integration didn’t stop their, Cake also approach ‘influential voices’ in target areas with exclusive information and videos about the app to encourage them to share the information with their followers. This generated 1,383 tweets and 328 blog posts, the icing on the cake (get it) was that the agency then used the online buzz to secure national print coverage, for a campaign which otherwise would not have been particularly newsworthy for the print media. Leveraging a Digital campaign to secure print coverage demonstrates integration and a well thought out strategy. You don’t need to approach all media platforms at the same time – think about how you can maximise coverage with a tactical approach. Adaptation – the three month turnaround for the second version of the application is actually a record for an app update. It demonstrates that there was always a commitment to acting on the user suggestions, rather than merely a PR stunt. And the improvements are of course for the benefit of the brand as well because it develops an app that is more effective for its users. Functionality – whilst an online catalogue does not seem the most exciting use of social media, it does have real functionality. When I moved house last year the print catalogue inevitably got lost in the move and this application would have been very useful to plan our purchases in advance rather than running round Ikea like a headless chicken on numerous occasions (never much fun in the run up to Christmas I should warn you). Award winning campaigns always provide food for thought, but this one particularly demonstrates how social media can cut through the gimmicks and fads to produce a campaign that is effective for the company and its customers alike.